Samsung Video Calling Mobiles Phone in India | Free Pc to Phone Calls, Free Voip Calls to India International ! Video Calling is getting really popular. Many people have got their phone upgraded to 3G mobiles and people have started making video calls. About an year back we posted about 3G video calling mobile phones in India. At that time, there were very less 3G video calling mobiles phones available in the market. The ones which were available were very costly. However things have changed in the past year with many video calling mobile phones available now. Today we will look at a list of Samsung Video Calling Mobile phones in India. 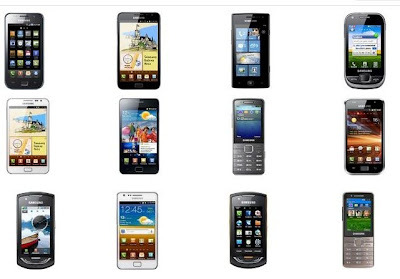 This lists also includes the Samsung 3G video Calling mobiles phones in India. Please note that we will try to update this list with time to time. If we have missed any phone which you are aware of, please let us know. We would love to share that as well. Some of the phones may not have direct video calling facility, however with voip you can still use video calling on these mobiles. All you require is secondary camera and internet connection. Additionally, we will soon update our previous post on 3G Video Calling mobile phones posts with including the latest dual camera mobiles available now.